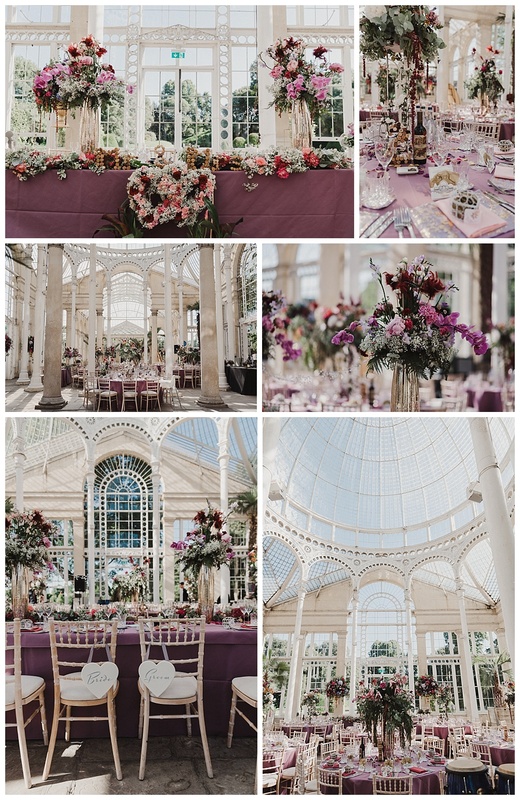 If you haven’t heard of Syon Park before, prepare to fall in love in a big way. 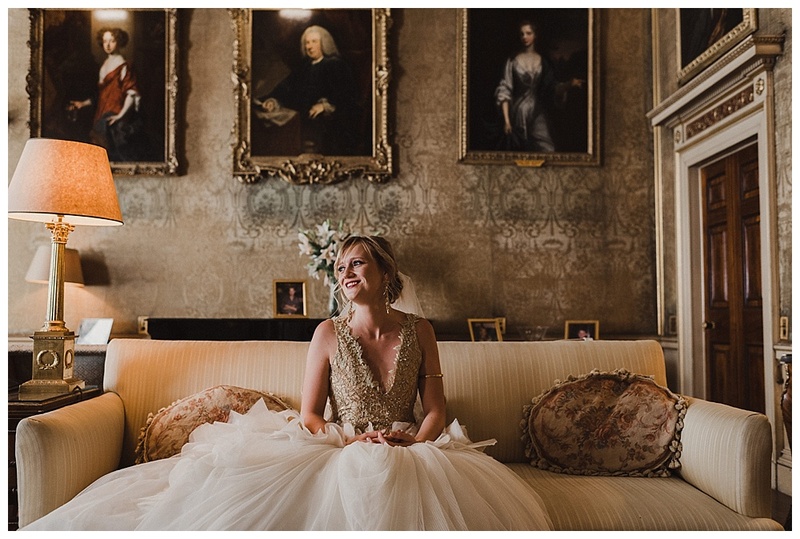 It’s a stunning historic house with sprawling grounds in West London, featuring stunning classic interiors, a delicious exterior and loads of quirk and charm. 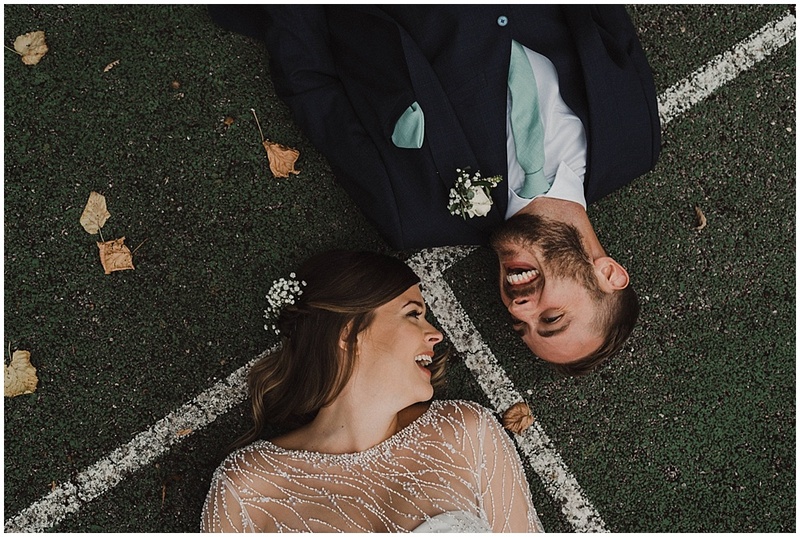 That meant it suited Annabel and James down to the ground as it presented a beautiful backdrop for all of their creative wedding plans. 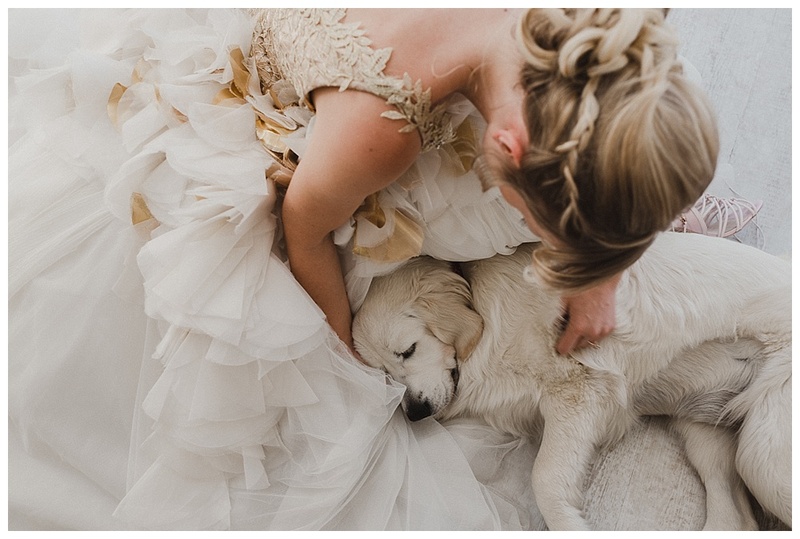 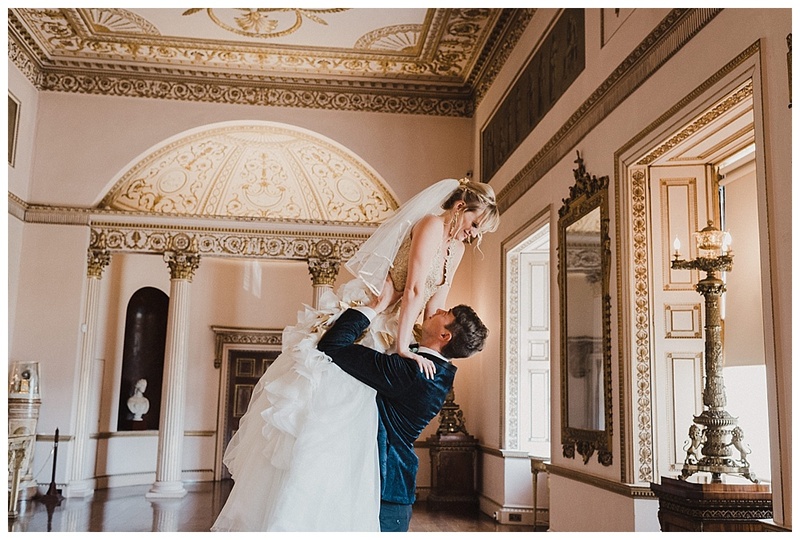 Annabel’s dress was a Vera Wang sample dress, personalised with a gold Galia Lahav-style plunge top made by her sister. 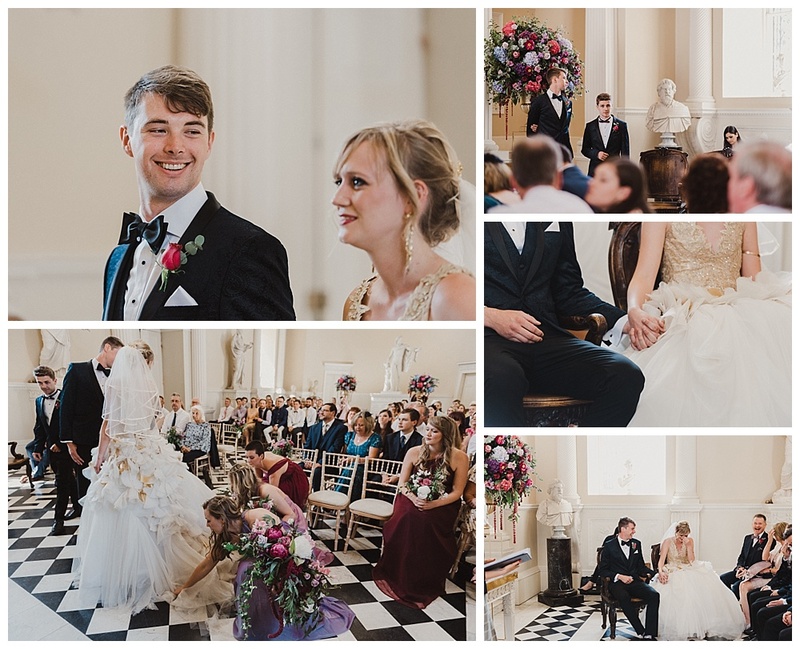 Their ceremony was held in the Great Hall and featured loads of laughter – I love ceremonies with personal touches, as everyone just lights up immediately and the photos almost take themselves (luckily they don’t actually, as that’s why I’m there). 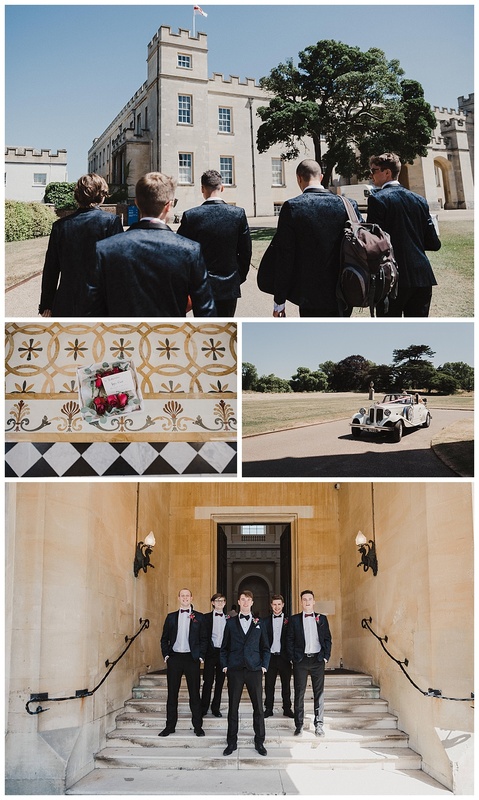 When they went to sign the register, we got some fierce Vanity Fair-style family portraits before Annabel and James went back through to the ceremony room and celebrated as newlyweds for the first time. 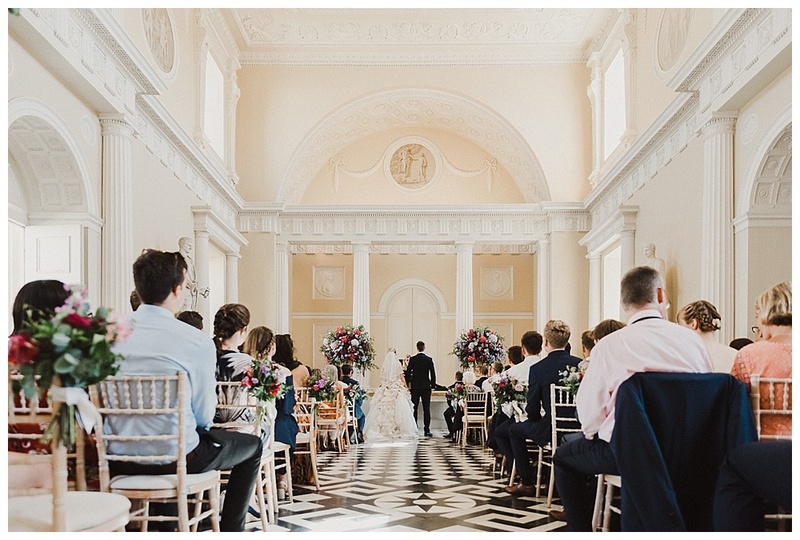 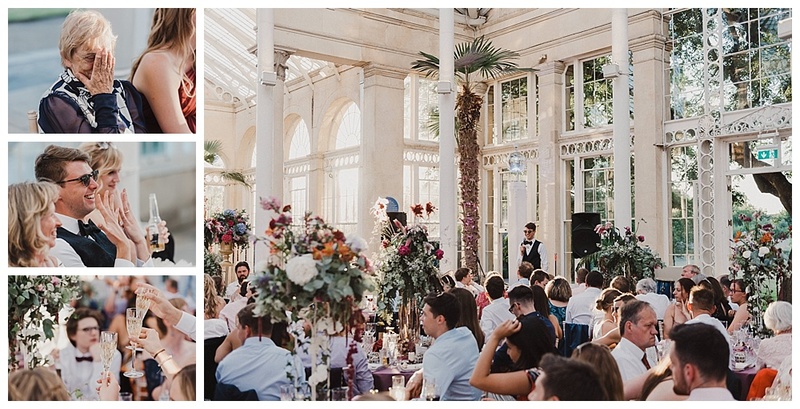 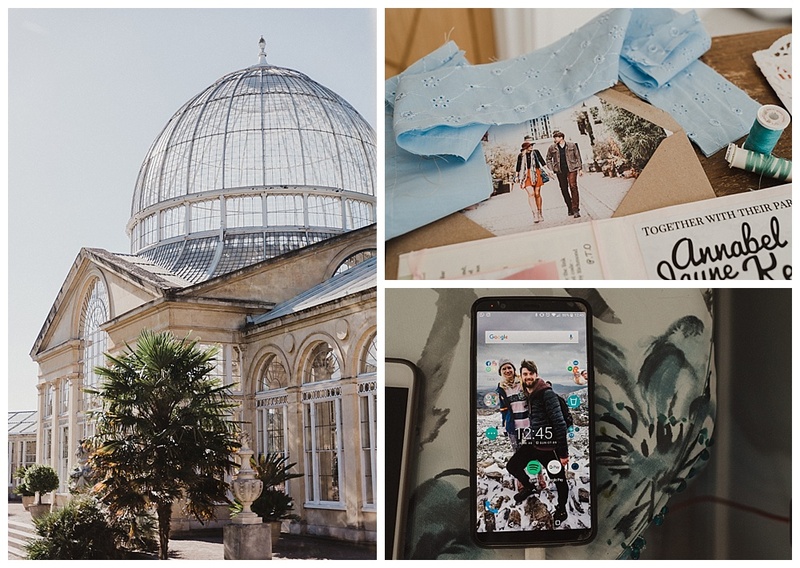 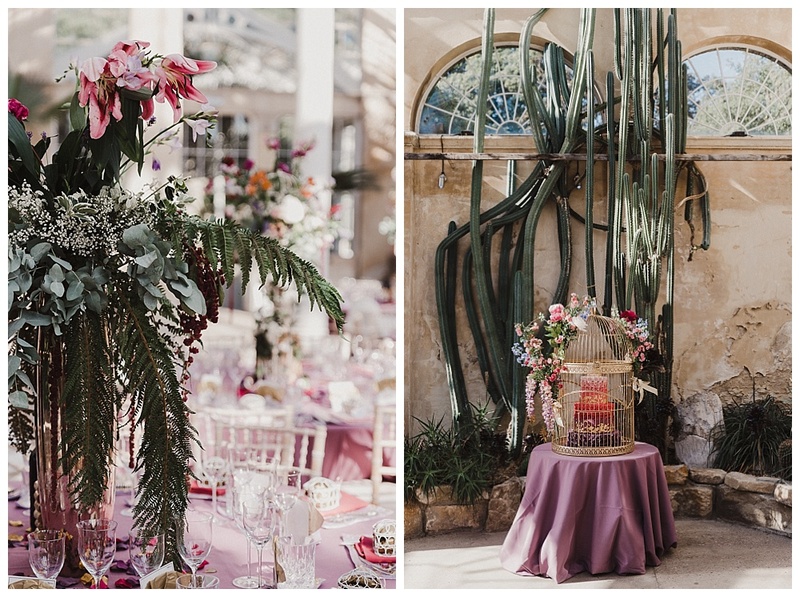 The wedding reception was in the Great Conservatory at Syon Park, which is a stunning glass-walled room that was flooded with the beating June sunshine. 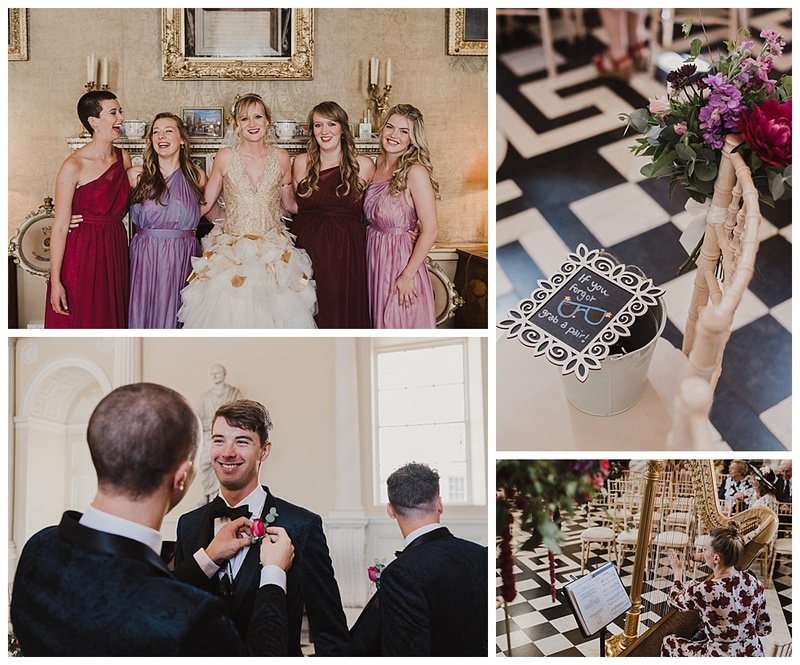 Following a gold and berry colour scheme, their tables were decorated with tall floral centrepieces made by Annabel’s mum and their incredible six tier cake was presented in a gold cage – later they cut this with the Sword of Honour from Sandhurst Military School. 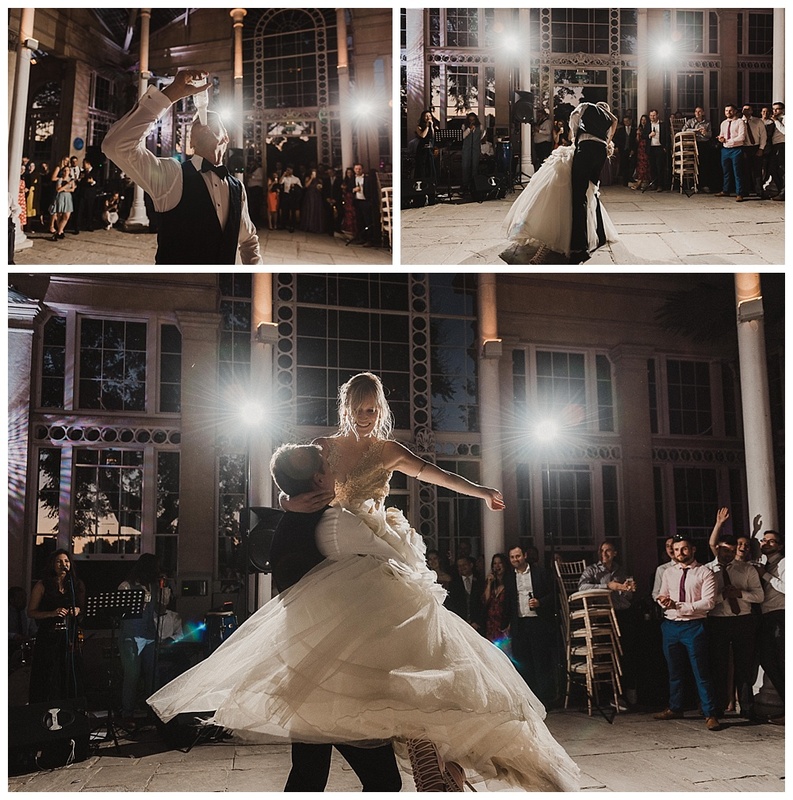 Guests had to drink a shot to find their seat, which I think was inspired! 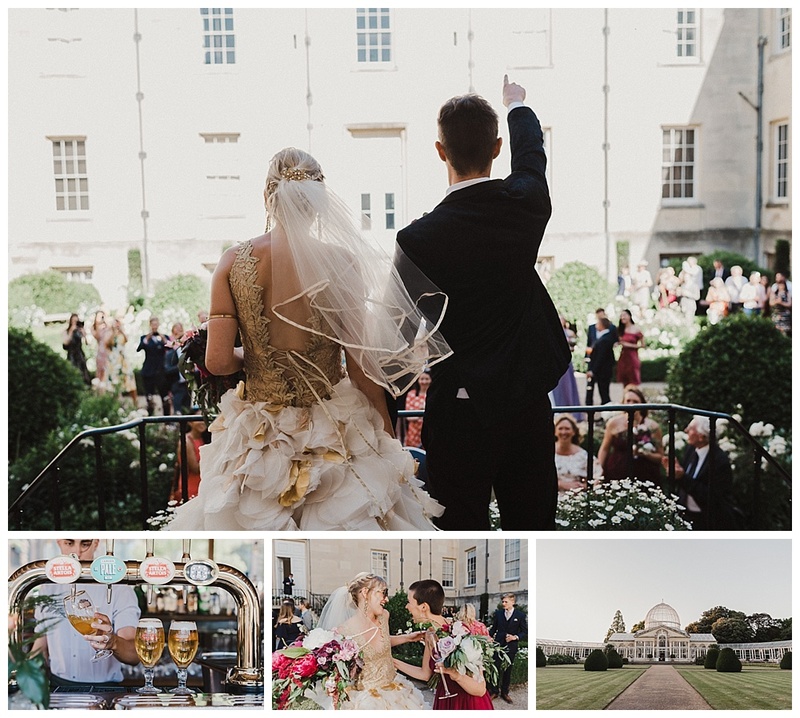 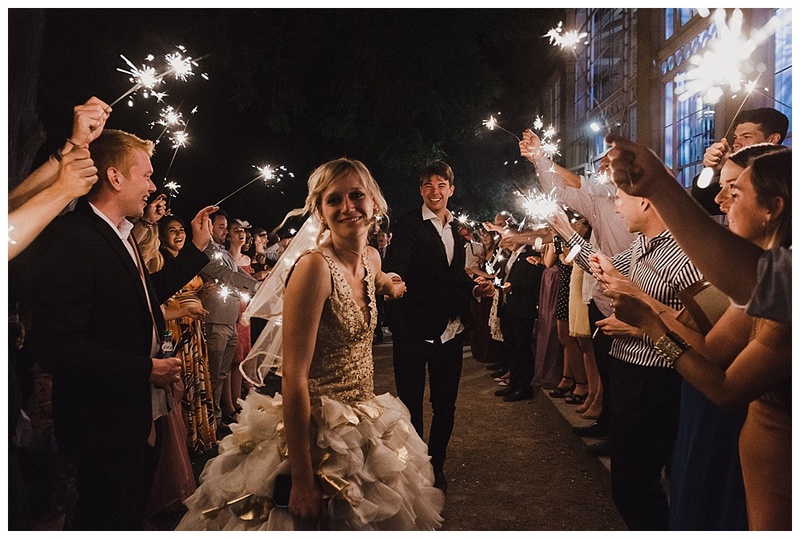 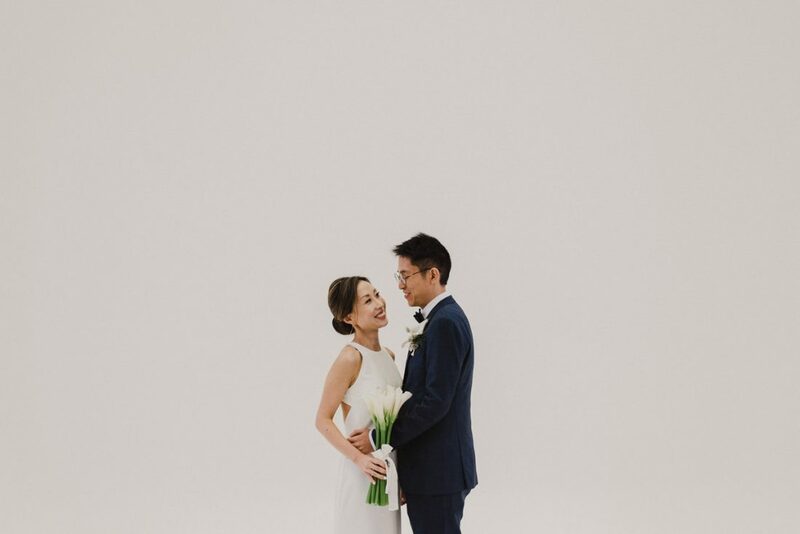 Annabel and James had catered to every last detail to ensure that their guests would have an amazing time. 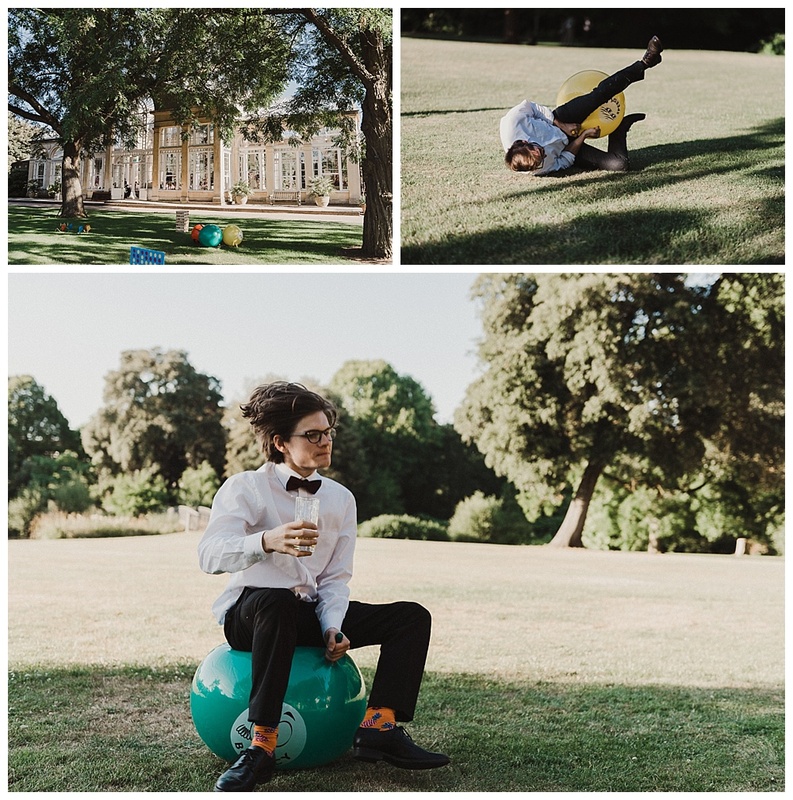 It was so much fun seeing all the guests bounce around on space hoppers in between the ceremony and the reception, and the pizza they served at 9pm was a genius touch (and very much appreciated). 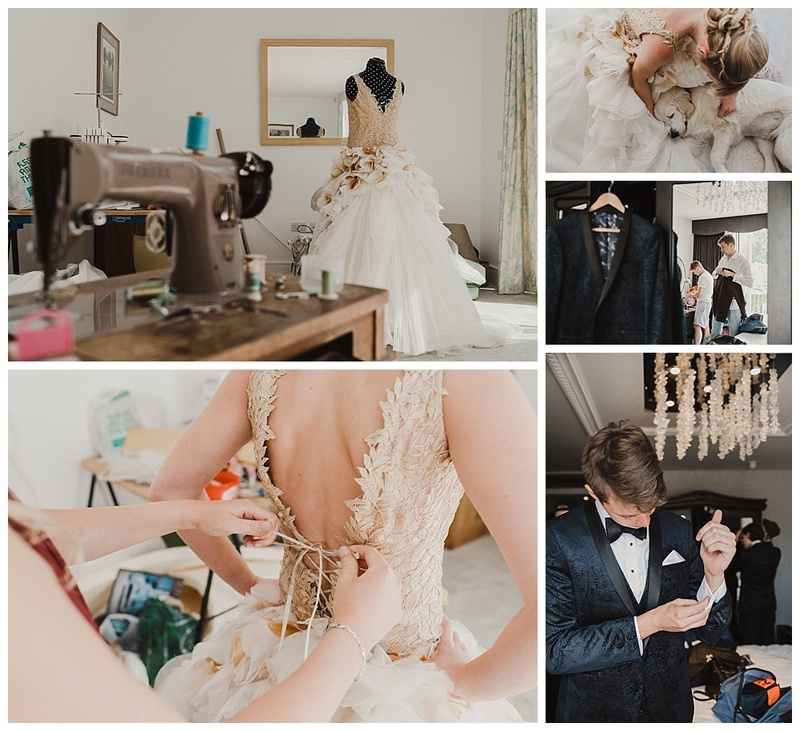 Annabel and James are self-described as like chalk and cheese but together they just work, and create something as beautiful as this. 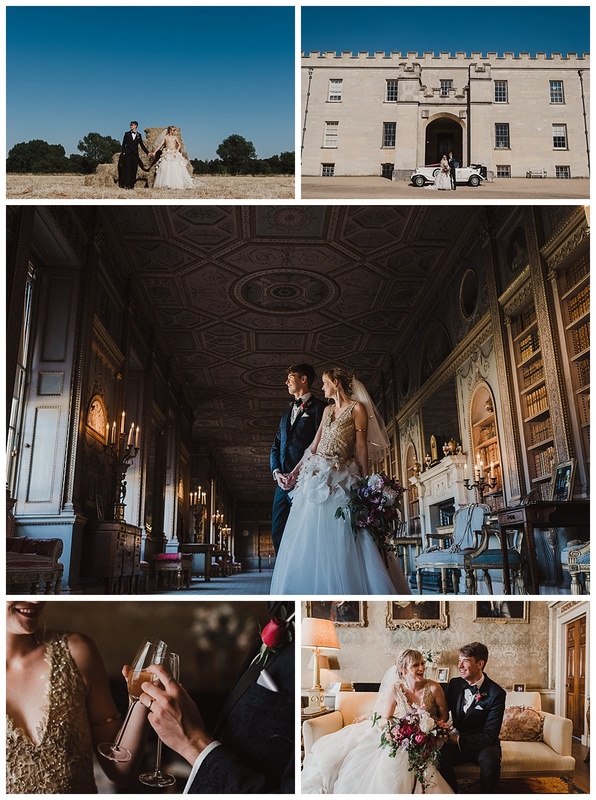 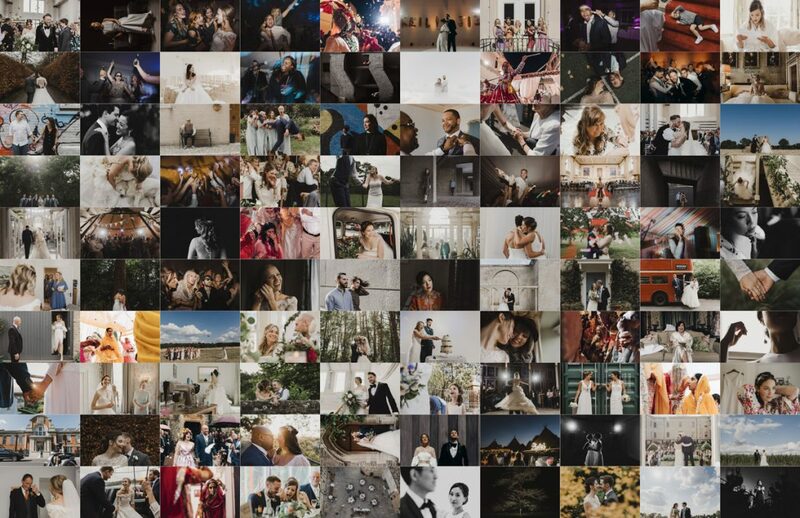 It was such a fun wedding to photograph – thank you Annabel and James for having me and congratulations again! 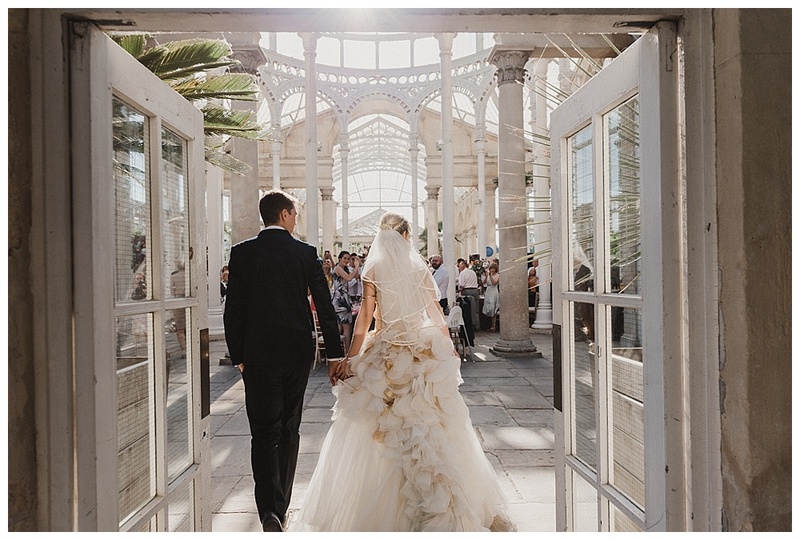 Are you looking at having a London wedding or getting married in a beautiful conservatory? 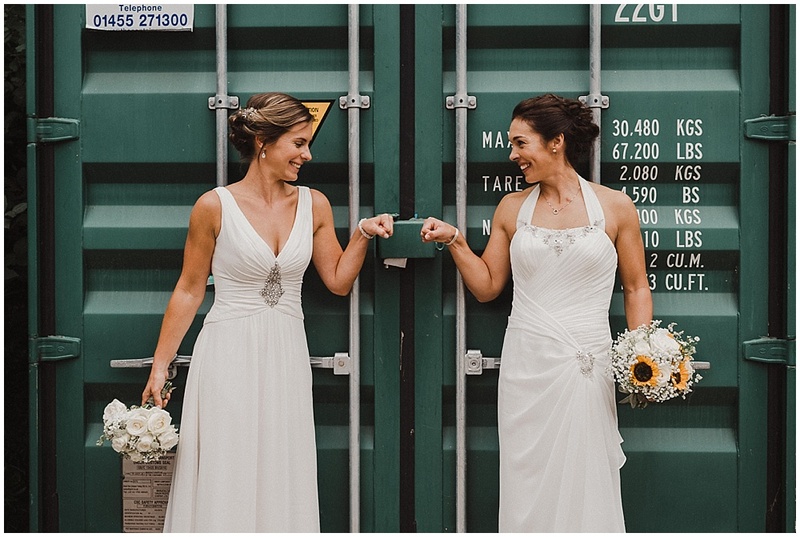 If so, why not slide into my inbox?